A Rope for a Rat The Montana vigilantes lynched a gang informant—or so they thought. Even his executioners admitted the small, red-headed man had come to a hard end. 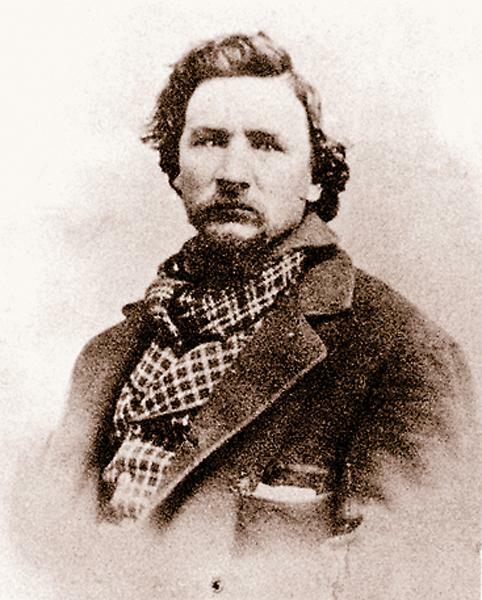 But Erastus “Red” Yeager was a major figure in the 19 hangings carried out by the Montana vigilantes over the following month through February 3. He had fingered members of the Plummer outlaw gang. Or had he? Born in Indiana in 1831, Yeager ultimately made his way to Montana’s goldfields in 1863. On the 80-plus-mile trail between Bannack and Virginia City, southwest Montana was a rough and tumble place, dirty and smelly, and almost all male. 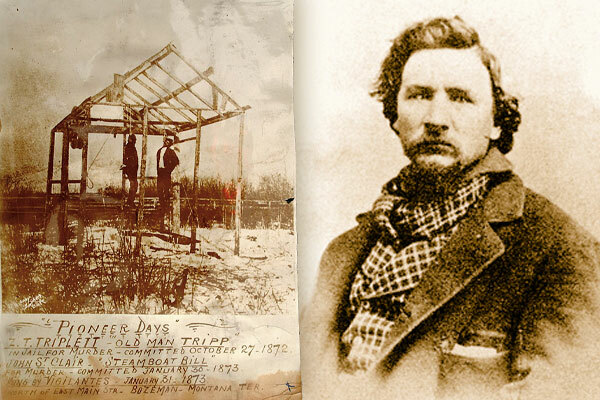 In December 1863, a miner’s court tried, convicted and immediately hanged George Ives for murder. 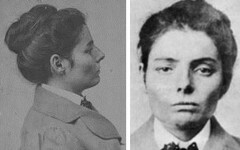 Ives had accused Aleck Carter of the crime. Believing Ives was the tip of a criminal iceberg, posse members, who included James Williams, Paris Pfouts and John X. Beidler, took action. 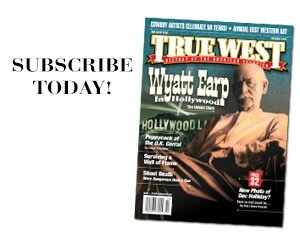 Carter became the first target of the legendary Montana vigilantes. They began searching for him on December 23, two days after executing Ives. On Christmas day, they ran into Yeager, a bartender and handyman at Rattlesnake Ranch, 12 miles northeast of Bannack. Yeager told the vigilantes he had left a drunken Carter at Cottonwood Ranch, 15 miles northwest of Virginia City. The group got to the ranch the next day—and found Carter had gone on the run. Cold, angry, sick from bad food and looking for somebody to blame, the posse members turned their attention to Yeager, believing he had tipped off Carter. They found Yeager in a lodge near Rattlesnake Ranch. On the way to Virginia City, they also picked up ranch hand George Brown. Vigilante leader Williams interrogated the two. Yeager confessed he had taken a warning note to Carter, which Brown had written. Brown admitted his involvement. Some of the vigilantes wanted to hang both men; others preferred taking them to Virginia City for trial. 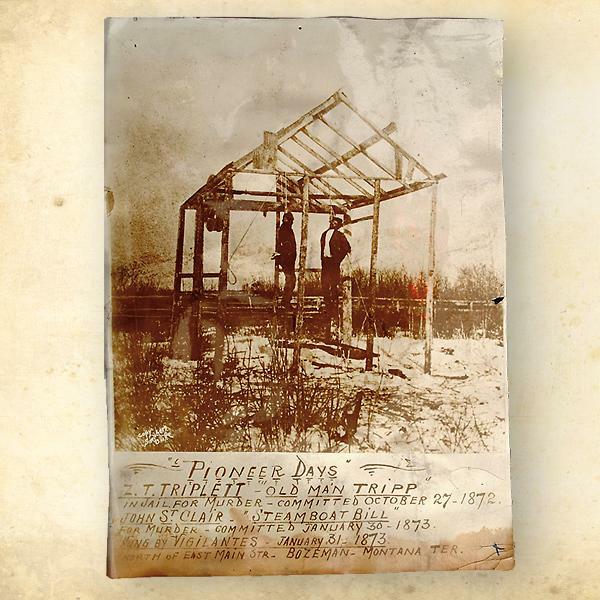 They headed toward town, but at Laurin Ranch, seven miles from their destination, they decided to string up the men. Williams advised Yeager to identify the outlaw gang members. Yeager supposedly came up with a couple dozen names—including Sheriff Henry Plummer and his deputies. Yeager thanked the vigilantes for their work, shook hands with them—and was hanged (with Brown). Over the next month, the vigilantes executed most of the men on Yeager’s list. Yet Yeager’s handwritten list has never come to light. Two or three vigilante leaders later wrote down the names—but their lists don’t match. Some details of Yeager’s confession, that the outlaws had passwords and apparel to identify them as part of the gang, sound concocted. On top of that, historians still debate whether Plummer led an organized gang at all. All we know for sure is that Yeager died at the end of a noose for being (as the note on his body stated) a messenger. Before he made his way to Montana, Erastus “Red” Yeager went to school in Iowa with Granville Stuart, future Montana cattle baron and author—and a vigilante himself. James Williams (left) led the vigilante group that hanged Yeager. Yeager and Brown’s double hanging was not the last one seen in Montana Territory. In 1873, vigilantes hanged accused murderers Z.A. Triplett and John “Steamboat Bill” St. Clair from a meat dressing rack in Bozeman. This photo of them bid in for $475 in June at Shobe Auction. 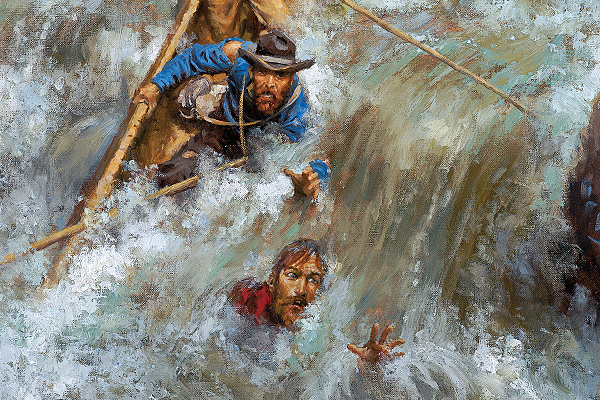 Surviving the Rapids William Lewis Manly’s perilous Forty-Niner journey revealed the dangers of river travel. Were Old West banks insured against loss by robbers?